Safari Construction Equipments, one of the leading construction machinery manufacturers showcased the fully loaded version of their popular mini crane: JKmini500. The fully loaded version comes with features like auto mechanical brakes, auto rewinding system, limit switch with starter & power lock system. 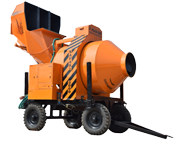 Safari Team is very happy with the outcome of Excon 2011, after bagging hundreds of inquiries, over 50 confirmed bookings of mini crane, tough rider & mini batching plant combined along with many customer appreciations. – Mr. Jawahar Kapasi (Managing Director).